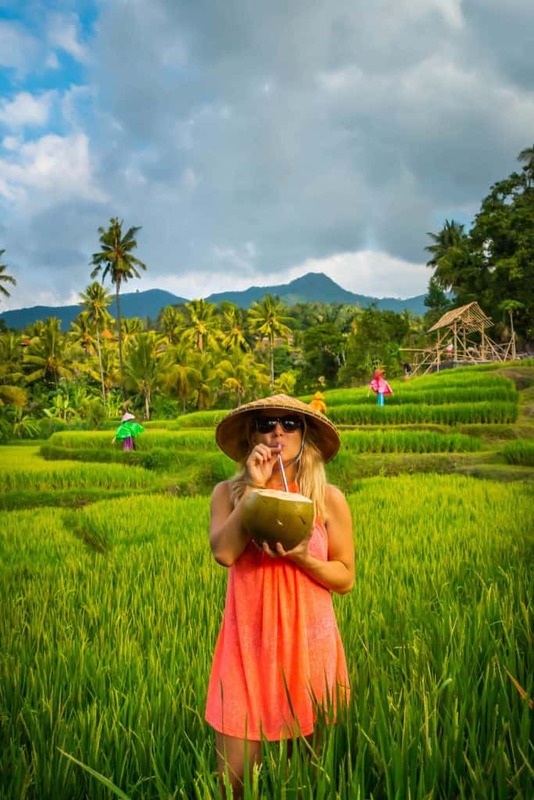 Blog What to Wear in Bali • The Ultimate Bali Packing List! 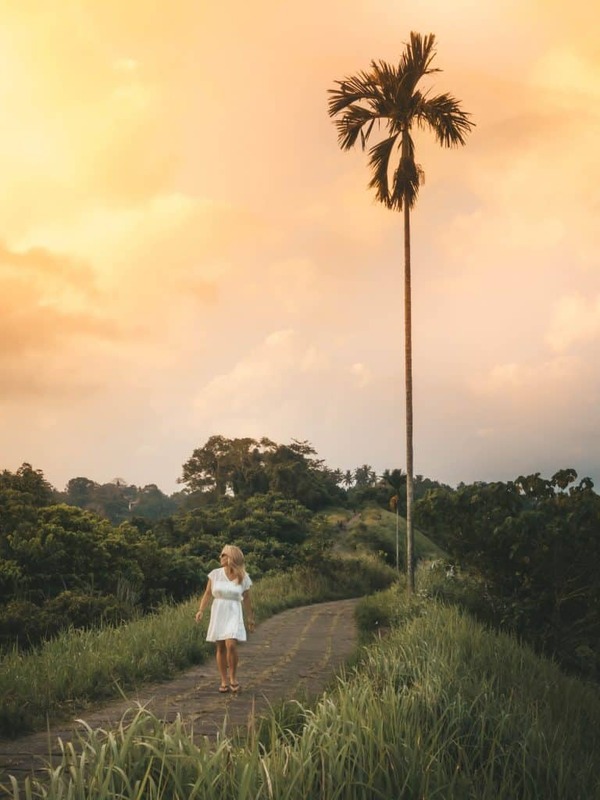 Wondering what to wear in Bali and don’t know where to start? 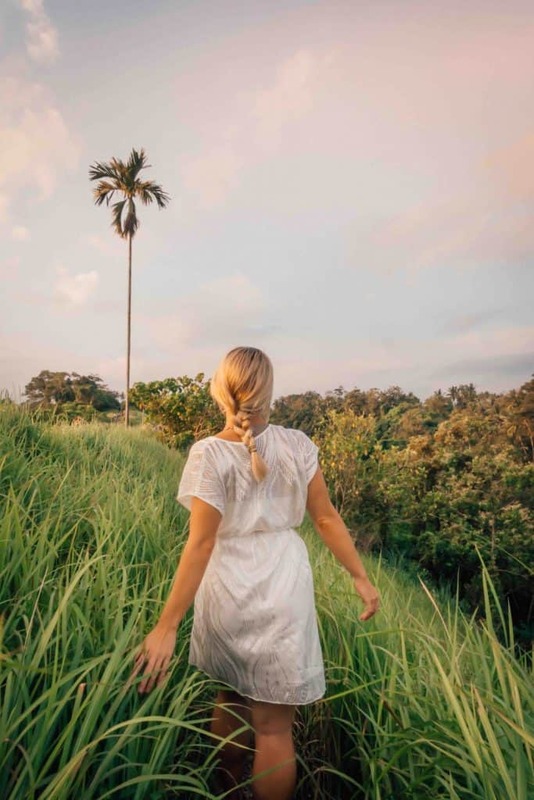 On my recent second trip to the island, we spent more than three weeks delving into the culture, the beautiful beaches, the amazing vegan food scene, and practiced yoga every day. 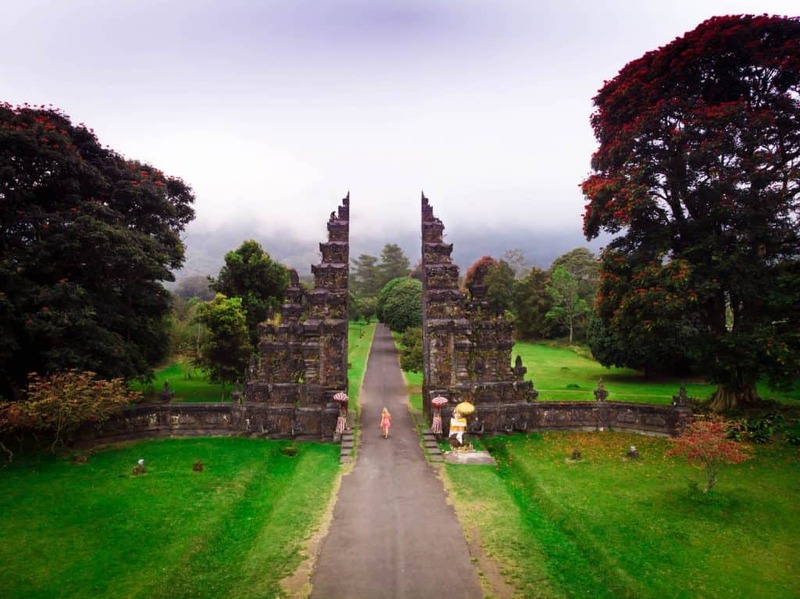 One thing is for sure, a trip to Bali is magical, but it very difficult to pack for. Here’s the ultimate Bali packing list and why you should pack each item mentioned. 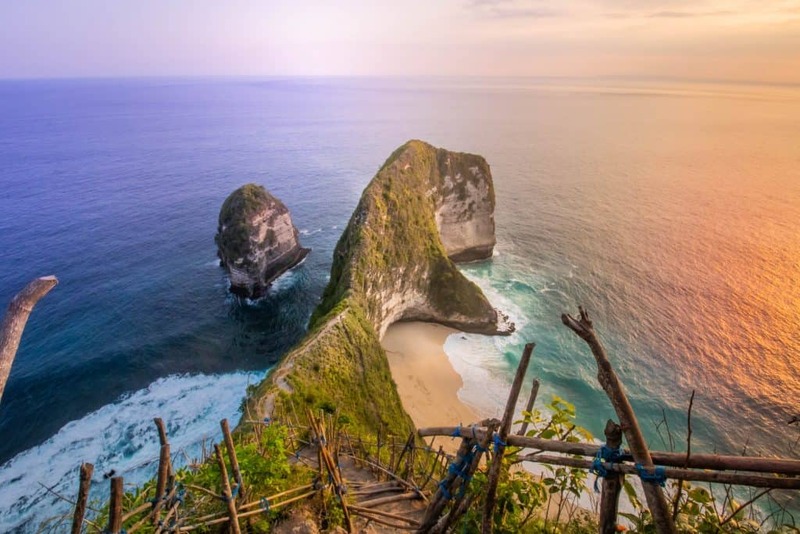 Determine if you are traveling to Bali for a relaxing beach vacation or a rugged and adventurous vacation (or both!). It will determine your necessities. The climate is tropical given it’s proximity to the equator. While temperatures stay stable your time of travel can greatly affect what is on your Bali packing list. 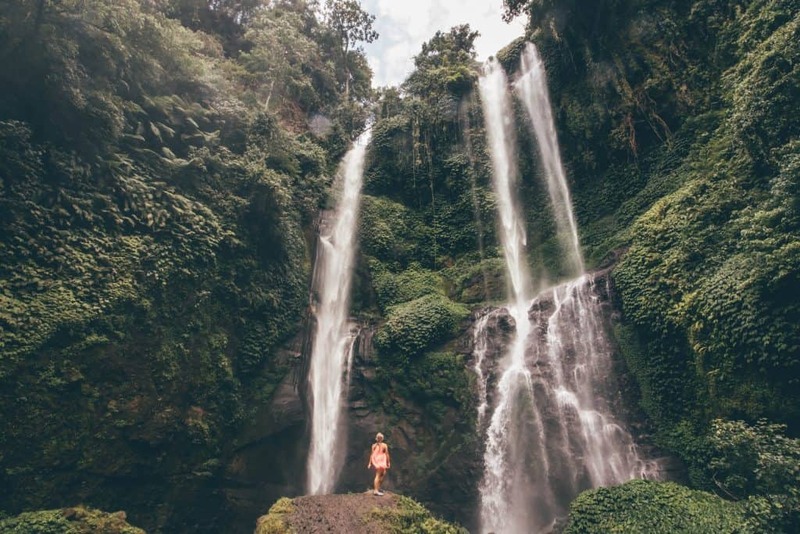 Bali’s has two distinct seasons: dry and wet. The dry season runs between May to September and the wet season is between October and April. May to September brings the best weather, but it is also the most touristy times of the year and when you will find the highest prices. 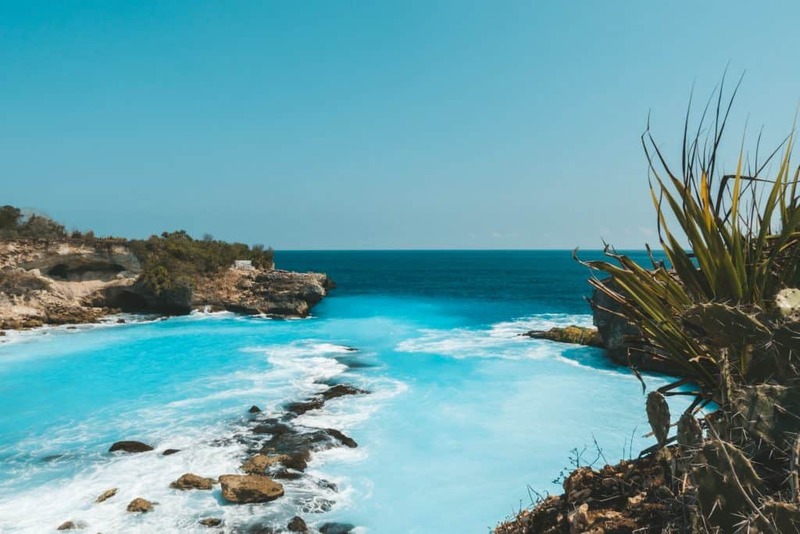 When thinking about what to take to Bali just be aware that getting your laundry done in Bali is incredibly affordable. I wouldn’t worry about bringing a crazy amount of clothes as the local laundrymats will wash, dry, and iron your clothes for less than $5. Bali is one of the great surf destinations of the world. If you’re a surfer remember your surf essentials. Please be conscious of the environment when applying sunscreen and use eco-friendly sunscreen when you are going into the ocean. Respect the environment you are going to enjoy for vacation and only wear eco-friendly sunscreens. If you like shopping you can find any clothes you need in Bali, especially in Ubud and Kuta. However, if it’s the street stalls this clothing won’t be high quality and mostly typical backpacker wear. The less you pack the better, especially if you are traveling between islands. Stick to one checked bag and one carry on to make life easier on yourself. Take it from someone who brought suitcases to Bali and try to get your clothing into a travel backpack. It’s much easier when navigating the streets of Bali. Cameron laughed at me a few times when we were exploring the Bali waterfalls, but I got the last laugh with my beautiful feet protected by water shoes. Seriously, if you plan on spending time hiking around the waterfalls in Bali and going in the water it’s worth it to pick up a pair of cheap water shoes. There essential when thinking about what to take to Bali will help you grip the slippery rocks and protect your feet from sharp rocks. Once you get to Asia it will be hard to find your favorite sunscreen, and when you do you will pay a premium for it. So make sure to bring yours from home. 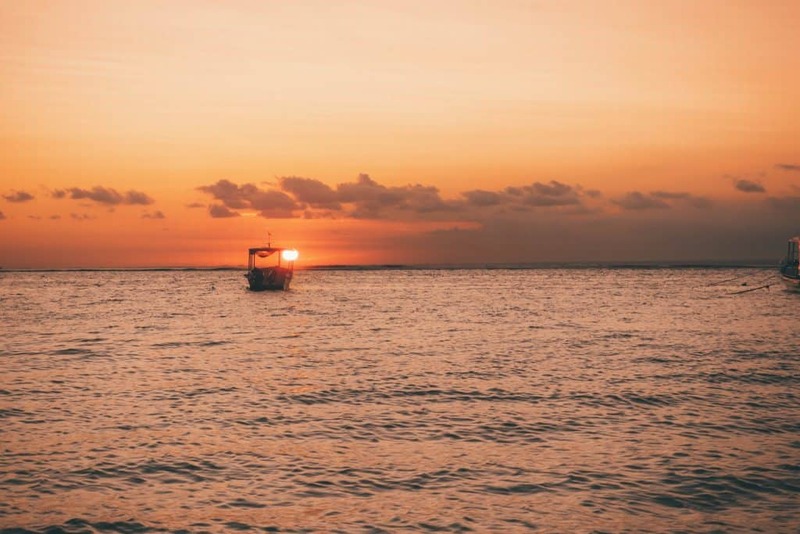 We personally choose eco-friendly sunscreen when we are going into the ocean so that we don’t release chemicals into the environment. This is the exact kind we traveled with to Bali. If your packing for Bali in just a carry on consider at least bringing a travel sized bottle with you. Flip-flops are never a bad idea at beach destinations and should be on every traveler’s Bali packing list. My favorite brand is Rainbow Sandals as they last forever and are super comfortable once the leather forms to your foot. Just make sure you bring your flip-flops inside with you at night. I had one of my flip flops stolen from me by a cheeky stray dog on Nusa Lembongan. 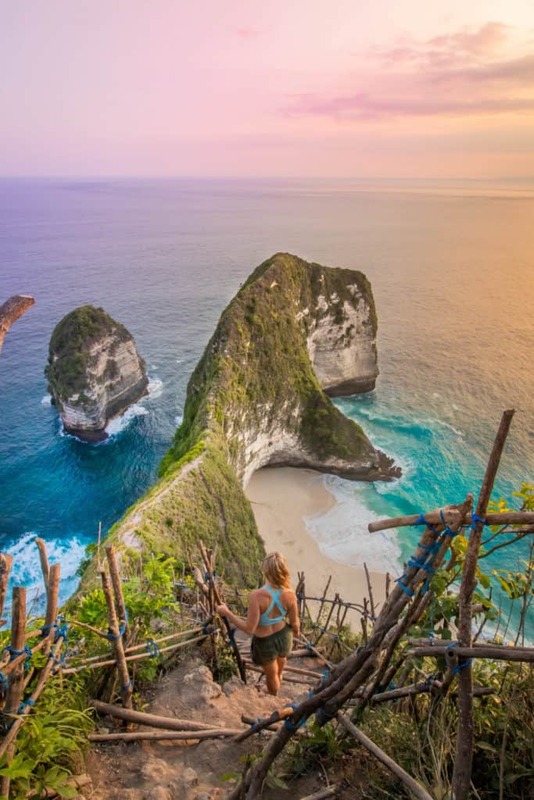 Bali is great for beaches, but it doesn’t hurt to bring a pair of tennis shoes or hiking shoes. Especially if you plan on doing a sunrise hike up Mount Batur or climbing Mount Agung. Personally, there is nothing else I would rather be hiking in than a pair of ankle high hiking boots. Or if you don’t feel like investing in hiking shoes a pair of quality tennis shoes should suffice, in most conditions. Read more about our favorite men’s and women’s travel shoes here. Bali is fantastic for its temples, culture, and health food but you also don’t want to neglect the beaches. I would suggest also going to some on Lombok, the Gilis, or the Nusas for those luscious white sand blue water ones. When I travel I always bring at least two suits so that I have a dry one to always change into. If you’re wondering what to wear in Bali I would recommend at least a few outfits of light and loose clothing. It can get very hot, humid, and sticky on the island so you don’t want to bring all stiff clothes that cling to your body. My favorite casual pants are these from prAna. I wore my Mantra Hemp pants almost every day as they’re antimicrobial, look stylish, fit a number of occasions, and keep you cool. Cameron refused to wear informal pants for a long time but has since found the men’s Vaha Pant, to be his favorite pair of pants ever and they fit perfectly in Bali. Vacay Style sells curated collections of clothes to help pack a multitude of styles in as few as items as possible. Tasha picked up the Sayulita collection and it comes with five pieces of clothing it mixes and matches to create over 21 different outfits. It all comes with a guide to share the different styles and how to make the most of your wardrobe with minimal pieces. It takes up a limited amount of space in your luggage and eliminates the need to think about what to pack – a massive win. 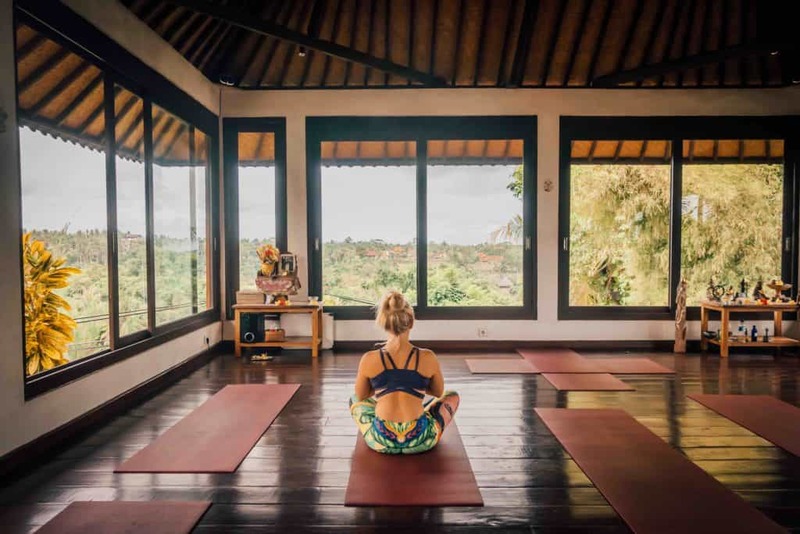 We spent almost three weeks in Ubud alone so you can bet there was some yoga gear in my suitcase. 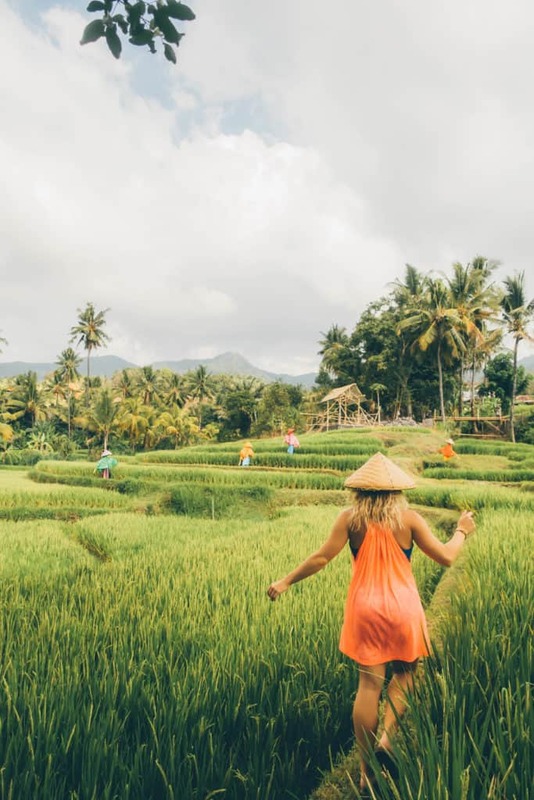 Ubud is the spiritual and cultural capital of Bali and there seems to be a yoga studio on just about every corner. If you plan on practicing yoga I would suggest bringing some eco friendly yoga pants. Most studios will provide you with a mat; however, I travel with my own yoga mat now so that I can always stretch and practice. A sun hat or baseball cap is never a bad idea when traveling to tropical destinations especially if you are prone to sunburn or have sensitive eyes. We always travel with a microfiber travel towel just in case we find ourselves in a situation without a towel. Unless you are in hostels most accommodation providers will provide you with bath towels, but they won’t want you taking those bath towels to the beach and ruining them. The Youphoria travel towel is quick try, antibacterial, and doesn’t hold on to sand like a regular bath towel. Plus it packs up light and small! Of course, many resorts do provide you with beach towels! Dry bags are great if you’re going to spend time at the beach or are going on any boat trips. They will protect your phone and any other electronics from the ocean, or more importantly if it starts to rain. We found them really important when we were getting dive certified on Nusa Lembongan. Bali is an easy place to lounge around and do absolutely nothing. 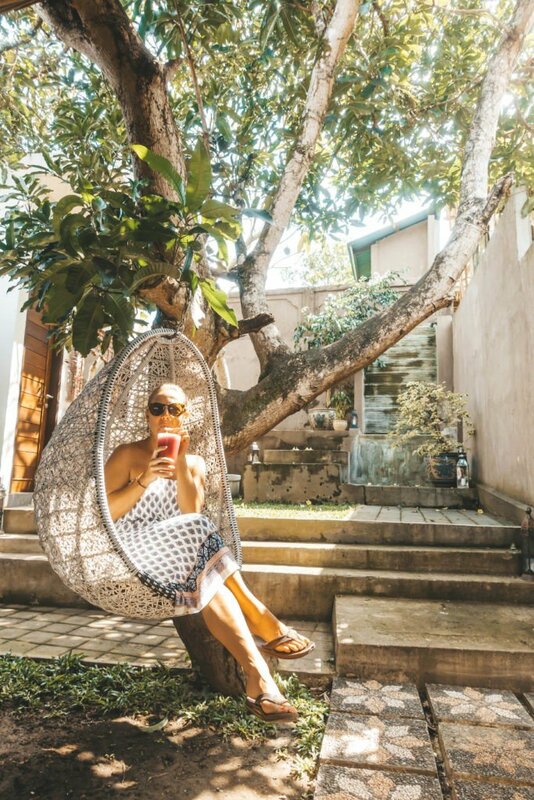 If you are wondering what to pack for Bali for more than a week consider a A travel hammock that you can string up between railings on your balcony. It’s perfect for those times when you want to relax in nature. Just in case you run out of juice having a backup charger is never a bad idea. 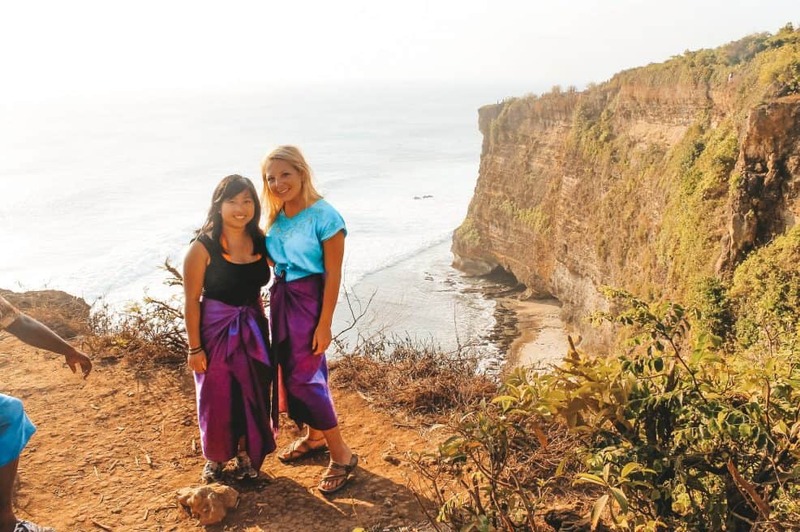 A sarong is essential when traveling to Bali. Not just for throwing on over your bathing suit, but also when you visit temples or religious sites. Many locals dress conservatively and it’s often disrespectful to enter temples with your legs showing. 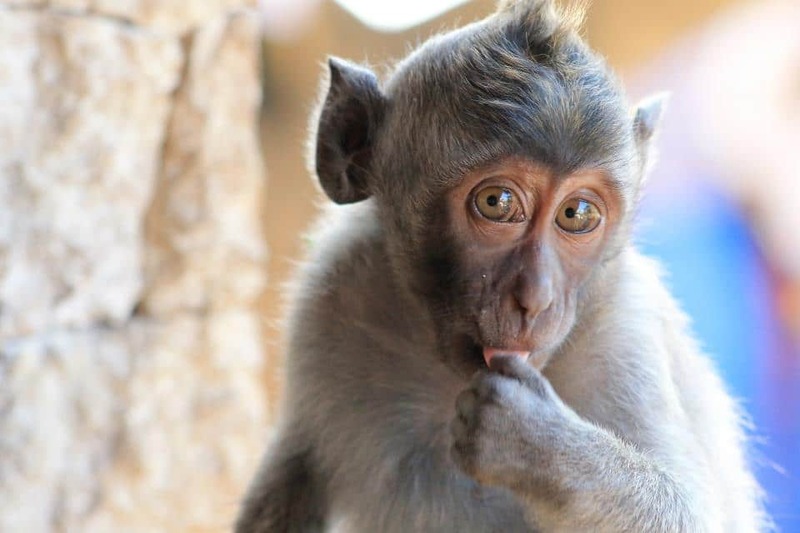 Chances are you’ll want a camera for your trip to Bali. Our favorite pocket-sized point and shoot camera for quick trips is the Sony RX100V. It takes fantastic photos and video and is the size of your palm. We bought this camera specifically for our trip to Hawaii earlier this year as we could easily add on underwater housing for an affordable price. It came in handy when we went snorkeling on Nusa Penida! Check out our other travel cameras here. Every day we were chasing a new waterfall, enjoying the beach, or just going to the nearest cafe to catch up on work. For all our excursions we had the Osprey Daylite to carry our knicks knacks and snacks for the day. You can also get a cheap foldable backpack that will do a good job at securing your things too. Here’s a review of all of our favorite backpacks. 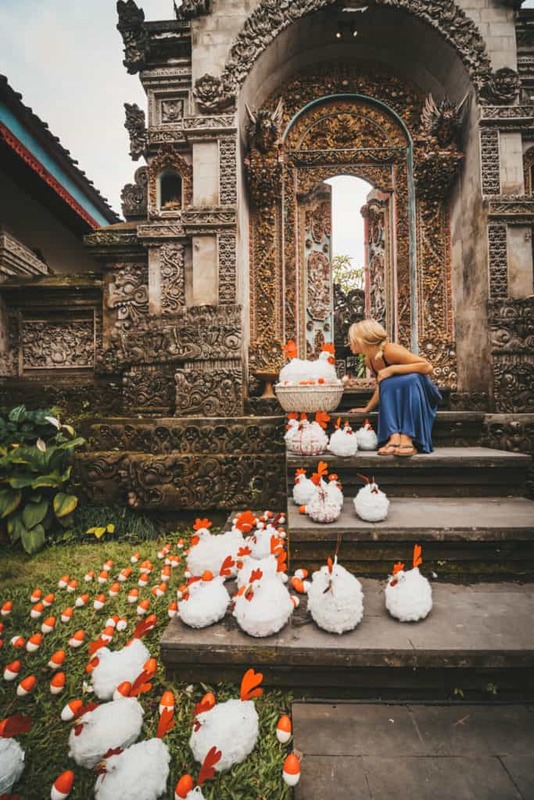 The tap water on Bali is not drinkable, but most hotels and Airbnbs will provide large water tanks for their guests so that they can fill up their water bottles. Indonesia has a huge plastic waste problem so I can’t stress how important it is for visitors to refill their own travel water bottle. We’ve recently fallen in love with Hydroflask bottles as they keep water cool for a very long time. See more of our favorite travel water bottles here. Have I mentioned that Indonesia has a trash and plastic problem? 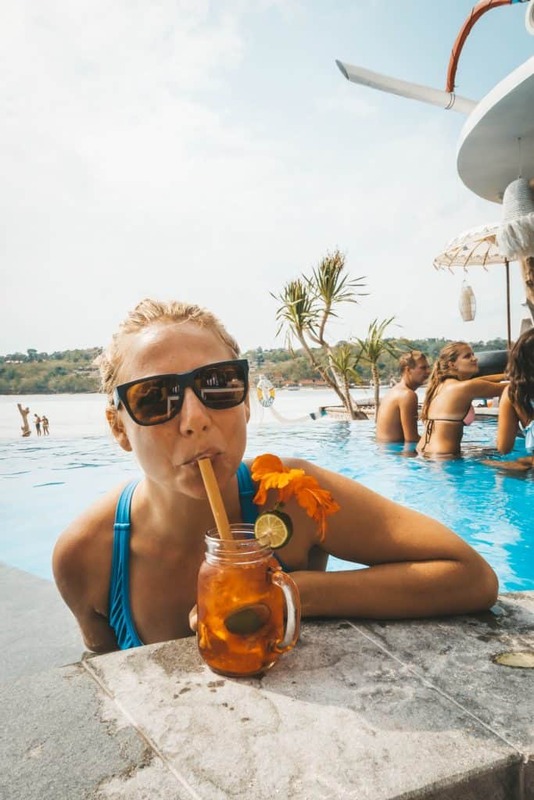 When considering what to pack for Bali think about all the plastic you could be saving by cutting out one time use straws. We brought metal straws to Bali to try and cut down on that when we order coffees and smoothies. We both have these exact metal straws and they are great since they have a rubber stopper for your teeth. However you don’t have to just get metal – Bamboo or paper straws get the job done too. Although Bali is very laid back, there are many opportunities to dress up and have a nice evening out. So what is good to wear in Bali at night? Women should consider bringing at least one dress or nicer shirt while men should have a casual beach outfit to wear out. If you forget one don’t worry – there are plenty of places to buy clothes on Bali. Check out some of the best sellers right now and pick up a copy. I like to read on days when I just feel like sunbathing and relaxing. Cameron is pretty impatient so having a book to read on the beach provides some much-needed entertainment. I’ve recently upgraded to the Kindle Paperwhite and absolutely love it. It’s small, has touch screen functions, and a backlight so that I can read at night without a harsh glare. Make sure to protect your eyes from the sun on your beach trip! I personally can’t even go outside without sunglasses. We just invested in our first pair of high-quality sunglasses and love them. If you plan on snorkeling a few times it may be worth purchasing fins and a mask, before you go. We actually bought ours in the US a few months before this trip and now bring them around the world. It beats paying for snorkel rental equipment everywhere we go! (My fins even fit perfectly in my suitcase). If you are traveling during monsoon season do yourself a favor and bring a rain jacket with you to Bali. We were there in August (dry season) and it still managed to rain a few days. I was happy I had my rain jacket with me. It can get real dusty riding around Bali on a motorbike. Wearing a buff will protect your face from all the dirt. Expensive Jewelry: You won’t need it in Bali as you can get artisan jewelry everywhere. Expensive jewelry makes you a target for thieves. Jeans: It gets very hot in Bali, the last thing you will want to wear is jeans that cling to your skin. Dark clothing: Same thing goes for dark clothing. Hot sun mixed with black shirts is no good. Drugs: Don’t ever mess with drugs especially in Indonesia. You could face serious prison time in an Indonesian jail or even death. Too many clothes: Like I mentioned getting your laundry done is a great deal in Bali. A huge basket of clothes cost us less than $5 to have it washed, dried, and folded. I would rather pay that any day than have too many clothes on me. An international data plan: Data is very cheap in Bali. Don’t pay for an international data plan or roaming. Instead, ask your hotel or guesthouse where to pick up a sim card and put data on that. We were paying about $10 for 20 GB of data. The remainder of our time in Bali was spent in Airbnbs. The island has many Airbnb accommodation options for everyone. Get $35 here! Water: The tap water in Indonesia is not drinkable. Make sure to bring a travel water bottle and fill up from the large tanks which can be found almost everywhere. Indonesia and Bali have a huge plastic waste problem so try your hardest not to contribute to it.